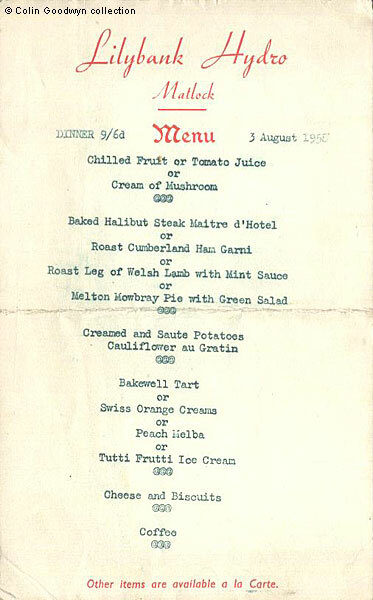 Desserts such as Peach Melba and Bakewell Tarts were all the rage. 2. 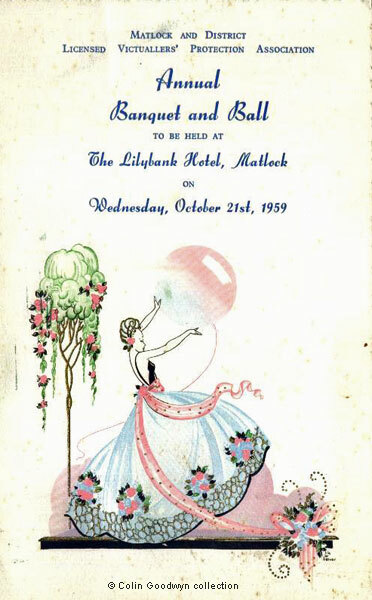 Matlock & District Licensed Victualler's Ball menu cover, 1959 - original size about A5. The three dinner menus above were printed during the last few years that Lilybank was a hydro, so before the company was wound up and the building became a Preparatory School. In 1958 it was described on the menu as Lilybank Hydro, in 1959 as the Lilybank Hotel and at the end of 1960 it was just Lilybank. 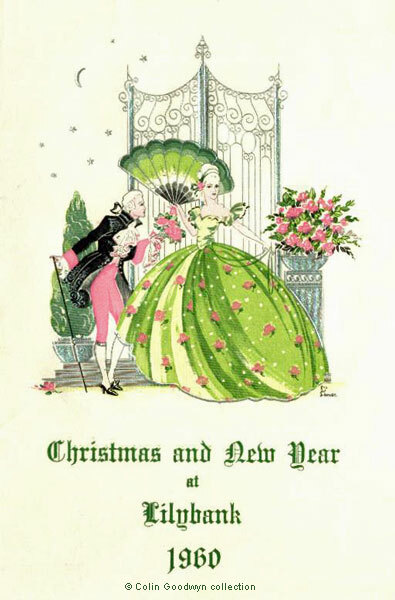 Lilybank menu and the two menu covers scanned by and © Colin Goodwyn from his personal collection especially for this website.